WASHINGTON (AP) — President Donald Trump's four-month worldwide ban on refugees ended Tuesday, officials said, as his administration prepared to unveil tougher new screening procedures. Under an executive order Trump signed earlier this year, the United States had temporarily halted admissions for refugees from all countries, with some exceptions. The end-date written into the order came and went Tuesday with no new order from Trump to extend it, according to a State Department official, who wasn't authorized to comment by name and requested anonymity. The new screening procedures were to be announced later Tuesday. It was unclear exactly what measures would be added, but in the past, officials have spoken about examining applicants' social media posts and other investigative measures to identify those who may sympathize with extremists or pose a national security risk to the United States. Refugees already face an extensive backlog and waiting periods that can take years. Any additional screening would likely extend the timeline. The refugee restrictions were in addition to Trump's broader "travel ban" on people from several countries. Courts have repeatedly blocked that policy, but largely left the temporary refugee policy in place. Trump has made limiting immigration the centerpiece of his policy agenda. 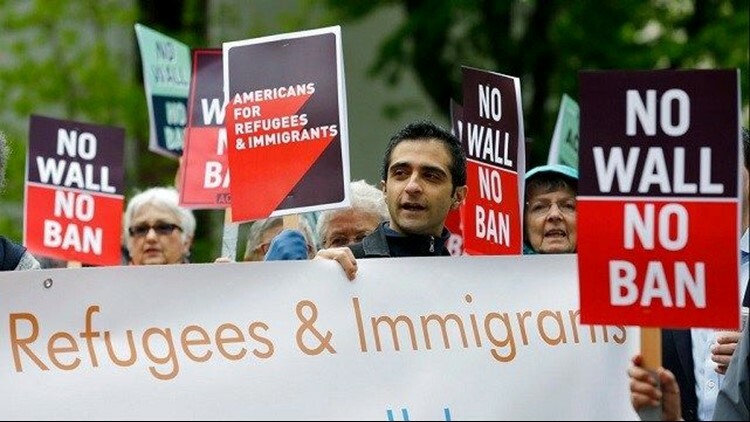 In addition to the travel ban, which initially targeted a handful of Muslim-majority nations, the president rescinded an Obama-era executive action protecting young immigrants from deportation and vowed to build a wall along the southern border with Mexico.